Elfster.com, the top-rated gift exchange generator, announces its participation with Product Hollywood for the Celebrity Gifting Suite in celebration of the 2016 Oscar Awards. Elfster.com, the top-rated gift exchange website, is proud to announce its participation in the Product Hollywood Celebrity Gifting Suite on February 27, 2016. This event is being held to celebrate the 2016 Oscar Awards and will feature many celebrity guests. The site currently boasts many gift exchanges centered on entertainment. Recent groups that have used the site to exchange gifts based on their shared interests include fan clubs of the Outlander television show, the Foo Fighters band, and devotees of the author Tarryn Fisher. In addition to introducing the gift exchange concept to the attendees of the event, the company is seeking to demonstrate their charitable drive function. This feature allows a charity to create a wish list that can be shared so that individuals wishing to support its cause may purchase needed items and send directly to the organization. The current group that is being featured is called Operation Blankets of Love (OBOL), a group that supports animal rescues. Through this partnership, Elfster will allow users to browse some suggested gifts. They can then choose their gift and make the purchase directly from the retailer, and send to OBOL. 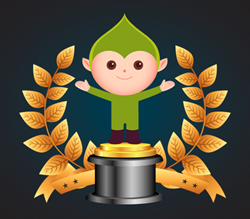 Elfster is the Web's top-rated online Secret Santa generator. Participants use the company’s tool to organize a gift exchange of any type, learn Secret Santa rules or how to play, organize family, office or friends and generally keep track of your gift exchanges all conveniently online.